Keep Your Dog Healthy and Fit – Pets, especially dogs, are so used to the home life that they too like their owners can carried away by the sedentary lifestyle. As owners it is very important that you convey a day to day life that is makes both you and your pet healthy and fit. Although most pet owners would blame their exceptionally busy schedule for not being able to regularly walk and exercise their dog, there are a lot of easy and fun ways that can be done. When you find yourself too busy or always in a hurry, you can use some of these quick tips to maintain your dog’s health and fitness. You may not realize it at first but the idea of leaving the house with your pet all alone spells guilt for you that you think leaving a lot of food in their bowls would help. Sad to say being unable to control the amount of food that you give your dog is a big factor that contributes to the unhealthy and unfit daily living. It may seem too harsh at first but leaving a substantial amount of food for your pet is a good start to make it remember the small amounts for each meal. Also consider giving your pet small meals a couple of times a day instead of just leaving a large chunk as a single portion. No matter how busy you get, ensure that you have time to play with your pet at least once each day. This will help your pet have a boost in energy instead of just lazily lounging inside your house. You can stay behind your computer and ask your dog to fetch a toy ball while you type away all your emails or you can even be answering your phone calls while playing catch with a Frisbee. Remember that your pet can only do these activities with your encouragement, so make sure you guide them accordingly. If you are unsure of what activities to offer for your fluffy buddy that will help them get interested, then why not read and learn all about it. You can look through the library for informative book about pets or even visit sites online. Applying what you have read and learned may not necessarily be that easy for our pet especially if these are new activities. When this scenario happens, learn to be patient and try out different strategies to see which ones will work for your pet. Work with what you already have at home and take the initial set of bringing your dog’s health and fitness back to optimum level. Say you have very limited space inside your home then why not teach your pet to maneuver through the small spaces every time you are home. Or in case you live in an apartment or condo that has a lot of staircases, why not get your dog moving with you to take the flight of stairs back home. Think up of very simple skills but ensure that your dog is able to do it several times each week for optimal advantage. You may not see it but your dog more often than not will be doing just about anything you will so if you manage to spend the entire day on the couch then trust they will be at your feet the entire day too. So consider bringing your activity level a little bit higher than your usual too. Take the time to head out for a quick brisk walk in the morning before you head to work and bring along your pet with you. Running will be very effective as well, but there are common runner injuries to be aware of. Consider that health and fitness is something that both you and your pet have to do together and the effort will surely be much better and more fun. Bringing your furry friend along on a camping trip can be a great travel experience. It is so much more fun for him than just sitting on a hotel room floor. Remember though that traveling with a pet means thinking your pet’s environmental impacts, too. 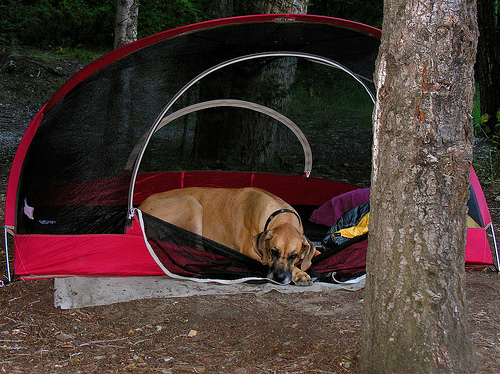 Before heading into the woods, make sure you’re prepared for camping green with your dog. Already by camping you are making a green vacation choice. Think of all the wastefulness at hotels for things you don’t really need or even care about. By choosing camping, you can have even more fun by including all of your family members and have a greener, closer to nature experience. Camping is one of the most environmentally-friend ways to travel and there are tons of dog-friendly campgrounds and parks. Just make sure your destination is one of them. Call the park of your choice ahead of time to confirm that they allow dogs or search for a dog-friendly park in the US or Canada on DogFriendly or PetFriendlyTravel. Instead of dumping your organic dog food into a bio-disposable plastic bag, look around the house for an old cloth bag that you can convert into reusable pet food container. And if you don’t want to carry bulky dog bowls with you, you can invest in recycled, reusable, portable pet food and water containers. GreenPeople’s list of where to find green pet supplies across the world is a great resource. Even if your dog is dandy off-leash at the neighborhood park, in an unfamiliar environment he might get excited and run away. Remember that rules are there for your pet’s protection, too, especially when you’re hiking or camping. If your dog runs off and barks up the wrong tree — say one with a bear in it — you and your dog could both be in real danger. It may be hard to believe, but not everyone wants your dog, no matter how well trained and behaved, running up to say hi, jumping on them, etc. Don’t let your pup get out of control. It’s easy to think that one dog can’t do any real damage, but disturbing wildlife or digging up trails can have real consequences. If your dog start misbehaving, correct his behavior just like you would at home. Pick up (and throw away) poop. Yes, poop is natural and biodegradable, but your dog’s poop isn’t indigenous to the woods you’re hiking through. When you’re traveling green camping, you strive to ensure the place you’re leaving is in same condition it was in when you arrived. So preserve the environment by cleaning up after your dog and using biodegradable dog bags . And make sure you dispose of your dog’s waste only in trash cans. Another tip is to take your dog camping in the off season. You will avoid crowds and other dogs, and less commotion will be all-around better for your pup. You are probably already doing most of these things at home. Just remember that your dog is going to be experiencing exciting new surroundings and keeping these tips in mind can make camping green with your dog a positive experience for everyone. My favorite vacation involves packing up a small tent, a backpack and some food and heading out with my husband for a hike or a bike ride. Even if we only manage a few days away, I really enjoy the seclusion, and the time to think and talk. I love the quote, “Take only photographs and leave only footprints” and I always make the effort to leave the environment exactly as we found it. On our last walking trip, we took our dog. It was quite a learning curve, because although we’d traveled with our dog many times, this was the first time we’d tried a green vacation with our dog. I always pick up my dog’s droppings when we’re out and about. Plastic bags can last a long time in the environment, so I made sure to purchase biodegradable poo bags. That way, if we were out on the trails, I could pick up the poo and bury it off to the side of the trail, and I’d know I wasn’t harming the environment with plastic. I know our dog is well behaved, and would come back when he’s called, but I never let him off leash when we’re hiking. Dogs are predators, and their instincts are strong. Our dog is a whippet, and if he saw a small creature run across his path, he would be off after it, and would have a very good chance of catching it. For the sake of the birds and wildlife that live in the forests, I keep him restrained. No doubt he’d rather be running loose, but I’d feel dreadful if he killed something. We can walk for miles with our dog. However, walking does limit how far we can travel. If we want to take him further than he can walk, we either need to take the car, or find an alternative means of transport that is dog friendly, as well as environmentally friendly. Enter the bike dog trailer. This neat little trailer attaches to the back of a bicycle, and is safe and comfortable for a dog to ride in. When we stop for the night, it converts to a kennel for him to sleep in. It’s not cheap, and you do need to train your dog to relax in it, but if you’re going to make a habit of biking trips with your dog, it’s a great investment. Dogs can become quite dirty while they’re hiking. They love to roll in dust and mud, and they find the aroma of dead animals particularly appealing. I’ve found that the less I bathe my dog, the better his coat repels dust and dirt. So, save water, don’t bathe him and the natural oils in his coat will allow you to brush the dirt off him. Of course, that doesn’t apply to “eau de dead animal,” in which case you really do need to shampoo him. Try to choose a dog shampoo that contains no parabens or sodium lauryl sulphate. Depending on where you live, hiking along forest trails may leave you and your dog susceptible to attack by biting insects, including ticks and mosquitoes. There are many shampoos and sprays that contain natural insecticides such as tea tree oil or neem oil which will help to repel insects, without the need to apply chemicals to your dog. Take care with natural oils because natural doesn’t necessarily mean non-toxic. Packing a first aide kit for your dog is a must. We found that it really doesn’t take too much effort to enjoy a green vacation with our dog. A bit of forethought means we can share our trip with our four legged family member, while taking care of our environment. Are you ready to set out and see the world? If so, you might be wondering what to do with your furry companion as you follow your travel bug instincts. The good news is, with the right planning, your pooch can come along for the ride! Thanks to modern dog travel accessories, it’s easier than ever to ensure that everyone in your family, including those who walk on four paws, arrives safe and sound to your destination. You want to sit in a plush and comfy seat while you travel, so why shouldn’t your dog? One of the essential dog travel accessories to remember is a carrier that keeps your pet secure and surrounded by comfort for the duration of the trip. If your dog is small enough to ride in style in your airplane cabin, his carrier will go under your seat, per federal guidelines. If you’re traveling by car, top-quality carriers can actually serve as safety car seats, giving you peace of mind as you cruise the open road. Looking for an in-cabin pet carrier that’s both stylish and functional? Try a Sherpa Deluxe Pet Carrier or another customer favorite, the Sleepypod. Chances are, your suitcases are pretty full as you embark on your new adventure. Imagine trying to squeeze in several hard food and water bowls in there! To this end, it’s worth it to invest in a few collapsible, portable silicone bowls that can be used for feeding as you travel. Most of these come with a carabiner, allowing you to easily affix them to your leash or carrier to ensure they’re never too far out of reach. This makes them extremely convenient for hiking or camping. You can even have an on-the-spot picnic wherever you choose! Check out this travel bowl set by Buster Pet Co. to get started! If you’re planning to spend a significant amount of time sightseeing by foot, a doggie stroller is one of the dog travel accessories you can’t afford to miss. Perfect both for injured and aging pets as well as those who might just need a break from prancing around taking in the sights, these strollers come in a variety of sizes and weight limits. Most doggie strollers fold up easily and feature mesh sides to ensure your pet stays cool and shaded as he glides around. Many also include bottom and side storage compartments, so you can keep other gear within arms reach. Check out VIVO’s three-wheel pet stroller or this OxGord Carrier Carriage for inspiration! Though your pet may be flying first-class and being wheeled around in a stroller, the reality is that nature will inevitably call. When this happens, it’s best to be prepared with gear that allows you to take care of the mess quickly and conveniently, so you can get back to enjoying your trip. It helps to pack a little “Clean Up Kit” to take along on your journey. This might be one of the less glamorous dog travel accessories, but it’s an important one just the same. From waste bags and deodorizing wipes to pee pads and household cleaners, arm yourself with the tools to keep your area neat and clean, so you don’t have to worry about a little spill upsetting your trip. Even after you’ve read your pre-travel guide and fine-tuned your itinerary, you might still face a little uneasiness as you leave the comforts of home for a new place you might not have ever experienced — and that’s totally normal. Similarly, being away from home and in a new environment might trigger a little anxiety in your dog. To help him feel at ease, you may consider bringing along a doggie compression shirt. Akin to swaddling a baby, a compression shirt wraps tightly around your dog to enhance feelings of security and comfort. One of the most popular types of these dog travel accessories is the Thundershirt. If you suspect your pet may take a while to warm up to your vacation digs, try one out! Experts claim they’re one of the top ways to alleviate worry and tension in your furry friend. You don’t have to bring the entire medicine cabinet, but don’t forget your dog when packing your first-aid essentials. In addition to any medications your pet is currently taking, remember to also bring flea prevention, tick removal gear (try these tick keys), wound care supplies, a digital thermometer, and any other supplies you think you’ll need. Don’t feel like packing everything à la carte? Pre-packaged pet first-aid kits, like this 46-piece one from First Aid-USA, take care of everything for you, so there’s no guesswork. Are there any toiletries, such as allergy-relief shampoo, that your dog can’t live without? Don’t forget to throw those in too! From a pet passport to updated vaccination and medical history information, depending on where you’re traveling to, you could be required to present multiple forms of documentation on your pet. In addition to ID data, you may also want to bring along the names and phone numbers of local veterinarians. You never know when you may require their services while you’re away from your trusted care providers. In addition, it’s helpful to bring along a list of your pet’s prescriptions, and his microchip registration information. With so many items to track, you can easily misplace important documents. Keep them handy and organized with a waterproof pouch that’s easy to take with you. Whether you’re venturing into a neighboring city or are embarking on a trip around the world, we’d love to help you get there. We’re experts on everything travel. We love sharing advice and insights on where to go, what to see, and how to do it all on a budget. 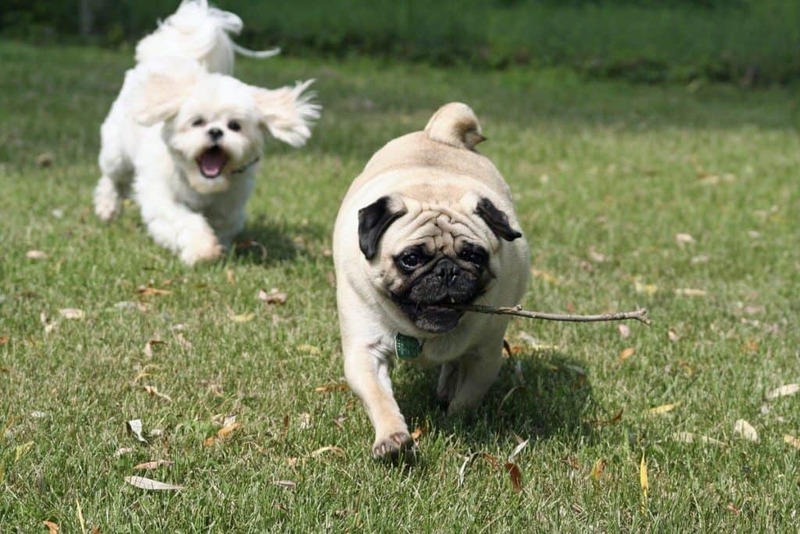 Let’s go on a new adventure together — Fido and all! Traveling with your faithful companion can be a very rewarding experience. Pets enrich our lives, and they can offer a lot of comfort and joy. But in today’s times we need to travel as green as possible while still providing for simple necessities. And one such necessity you should consider when traveling with your pet or camping with your dog ~ hiking with your dog, is a first aid kit just for them. After all, things do happen that are out of our control. And we want to keep the safety of our pet in mind. So, with a little effort, we can easily put together a pet first aid kit that makes traveling safer while being earth friendly in its design. When putting together a pet first aid kit, take some time to consider the container itself. You will want a container that opens easily, since after all you may be occupied with a wounded pet. Also try to find something that is durable and as close to waterproof as you can. Finally, make sure that it can hold everything you need without undo force required to close the lid. And make sure that the kit fits the intended travel – you may have to downsize things if you expect it to fit in your dog’s backpack. Creating a pet first aid kit is not that different from one for a person. You need to be able to apply basic first aid to your pet, so the materials need to be on hand. An injured pet may need to be covered, and it can offer protection in the case of adverse conditions. In the event of a spinal injury, your pet may need to be secured to a board by a means that will not harm fur. Typical adhesive tape, such as those used for bandages, may prove to be too much when used to restrain the pet. Obviously required more for a dog than a cat, muzzles are good to have handy in case of an injury. An injured or stressed dog is more likely to bite than it would otherwise, and it could help to protect the animal from any required defensive actions. Activated charcoal can help with your pet’s diarrhea and gas while traveling. In some cases kaeopectates could be used, but you should ask the advice of your vet first. Also note that the absorption capability of activated charcoal could help in the case of accidental poisoning. This will help with nicks and cuts your pet may experience in their travels. For cleaning wounds and applying medicines as required. Great for pulling splinters and cleaning wounds. Wound treatment – keeping a wound clean will aid in healing and prevent more serious infections. In the case of serious poisoning this can induce vomiting, removing the toxins from the body. But improper use can be dangerous, and some pets cannot be induced this way without injury. So be sure to ask your vet first before inclusion or using. Medicine Droppers – For drop by drop administration of medicines and flushing with a cleaner. Scissors are essential to trim fur from affected areas as well helping with wound dressings. This strong tape will secure the gauze and pads when dressing a wound, but be careful to not involve too much fur in the process. This kind of tape can be hard to remove from such surfaces and may need to be cut free. Use this in place of Hydrogen Peroxide when cleaning a wound. It can also be used to clean eyes from contaminants. Not all pet first aid kits are equal, nor do they need to be. For example, you may be traveling into an area that has poisonous plants or extreme heat that you would normally not need to prepare for. Be sure to include not only the number of your regular vet but also the number of a close by pet hospital for the area you are visiting. In the case of an emergency this can save valuable time. A great place for this is on the inside lid of your pet first aid kit. Extra Food Another thing to bring is extra food for your pet. We always prefer the best dog food that’s organic. While first aid for a pet is not radically different from basic first aid concepts for people, there are nonetheless some things that should be avoided. Hydrogen Peroxide kills white blood cells that would otherwise be fighting the infection. Instead use a saline flush. If you have a cat, then never give it aspirin or Tylenol (acetaminophen). These drugs are toxic to cats, and should be avoided at all costs. Ibuprofen should never be given to dogs, since it can cause kidney failure – even a little can make them very sick. As you can see, it is easy to put together a pet first aid kit for your favorite companion that not only could prove valuable on a trip but also avoids components that are harmful to the planet. It is one of the best things that you can have for your pet that you hopefully will never use. It’s one of those things I thought would never happen to my dogs: They got fleas. And we ran out to buy them those synthetic flea treatment collars just to realize that these are simply pesticides. We take care not to use pesticides in our yard or home, but ironically, we’d just invited them in! Because we didn’t like the idea of tying poison around our pets’ necks, we decided on another course. Here’s what we learned about natural flea treatment ideas for dogs and cats. First, you have to get rid of adult fleas and their larvae and eggs on your furniture, pet bedding, and carpets before you should even bother treating your pets themselves. But cleaning your home of fleas isn’t as difficult as it sounds. In fact, you’re probably already taking care of the problem with general cleaning measures. Don’t think they sneak up onto the bed while you’re not looking? If not, your pets are better trained than mine. Of course, that’s not saying much. Mine pretty much have the run of the place. Strip pet beds and machine wash with hot water, then tumble dry. Don’t air dry: you need the heat to kill the fleas and larvae. You’re probably already doing most of this on a daily or semi-regular basis. Now you’re ready to address the flea problem on your pets themselves. Derived from the flower heads of Old World chrysanthemums, pyrethrin has been used for centuries to fight fleas. If it’s hard to find, you can more readily find d-Limonene, which is a by-product of the citrus industry, and smells like grapefruit. While in the pet aisle, look for ‘natural’ or organic flea treatments containing one of these ingredients. Much safer than pyrethrin (though even harder to say three times fast), diatomaceousearth is a form of dust-like algae. According to Mother Earth News, it can be sprinkled on pet bedding and carpet, where it attaches itself to the waxy coating of a flea’s shell, dehydrating it. Find it at a home and garden store under natural or organic agents. Better yet is to not have a flea problem in the first place, right? The following natural remedies go a long way toward keeping fleas at bay (though every pet’s general health and skin condition also play a role). add one small tablet to your dog or cat’s food. The yeast will excrete through the skin, making the animal less attractive to fleas. add a spoonful to your dog’s water to make their skin more acidic. If they balk at the taste, you can dilute it 50/50 with water and use it in a spray bottle as a repellent. steep a few cups of rosemary in boiling water, strain it, and add a gallon of warm water to the liquid. Give your dog a bath in it, pouring it over him, then allowing him to dry naturally. Learn a quick way to keep your dog healthy and fit. Fleas are both an incredible nuisance and incredibly unhealthy for your pets. Preventative measures go the furthest. Before trying any flea treatments, organic or otherwise, consult your veterinarian, who can assist with the right dosage for the size of your pet. There are some excellent natural flea treatment ideas to help your pets. Learn how to control and prevent fleas for happier dogs and cats. Those of us with pets know how hard it can be to leave them at home. But, if you’re willing to fly your pet in the cargo space, or your pet is small enough to fit under an airplane seat, you don’t have to. Some people even need their pets near them to fly without anxiety. The best case scenario is when your pet can accompany you into the airplane cabin. Not having to say goodbye to them or worry about the condition of the plane’s cargo area before, during, or after your flight can bring peace of mind to any owner. Those who want to travel with their pets need savvy carriers. The carrier must be comfortable for them. If flying in the cargo space, they need great conditions. If the pet is by your feet, they need to fly in circumstances that will keep them cool to avoid over heating and heavy barking. Most U.S. airlines and even many international airlines allow passengers to travel with an in-cabin dog. Some require permits or Emotional Support Animal licenses. Regardless of your situation, choosing a carrier that is right for you and your pet is important. The Sleepypod is sleek and chic and is also a bed for your pet. If your pet occasionally likes to sleep in this comfy little carrier, it will make traveling much less of an ordeal for them. The Sleepypod is not only comfortable, it has been crash tested! It also transforms into a fantastic car seat with velcro positioning points that secure the seat belt over your pet carrier. It’s easy to clean, you just use a wet wipe or damp cloth to clean the exterior. Use a small vacuum attachment to get the pet hair inside. You can even wash the foam padding in a cold gentle cycle. The Sherpa carriers are a true staple for any regular pet traveler. They are reliable and have been perfected over the years. You can choose from many colors and sizes. Truly some of the best carriers for a jet setter, the deluxe version has top and side entries for your pet to get in and out. The roll-down privacy flaps can give your pet a calming effect. This helps on planes so they can’t see the many passengers constantly walking by them. There is a seatbelt strap for your travel to the airport, and then an adjustable luggage strap once you are there. The mesh panels for ventilation will assure your pet has a breathable, cool nap during their flight. There is a Sherpa pet carrier with wheels as well, which makes for a very easy tote once inside the airport. This is a great carrier for toy breed dogs. It has a very modern design and is built with privacy mesh all around it. It doesn’t look like a dog carrier, and many people won’t even know there is a pet inside the bag! This pet carrier exceeds TSA requirements and is made from an 840 denier nylon fabric. It’s extremely lightweight and has padded sides. The large zipper top entrance makes for easy access for letting your pet in and out. It can fit all types of animals and is very easy to clean with a damp cloth. While it isn’t collapsible, it takes up so little room that you won’t need to. At $100 it isn’t the cheapest of pet carriers, but it is a high-quality one. This carrier is another that doubles for airline and car use. It also includes mesh vents that are even scratch proof for your pet’s feisty moments. A very cool aspect of this bag is that it looks like a duffle bag. Carry this duffle-style bag around the airport and people will think you’re running straight to the gym once you land. It’s lightweight and a really great option for small dogs. This comfort carrier is as luxe as they come. You can carry it on your shoulders, back, or roll it easily on the ground. It has rotating wheels that let the bag feel weightless as you tote. The wheels are also detachable for your carrying moments. The interior of the bag is lined with fleece and has a foam travel bed inside. This bag will give your pet the maximum comfort while still able to fit underneath the seat in front of you with its flexible walls. The interior bedding is easily removable for washing. The bag features Pet Connect, a reach through access point opening for comfort petting while in flight. This carrier can hold pets ranging from 19-22 lbs. This bag is especially useful for camping trips or hikes as well. It does work for airlines and will fit under the seat quite nicely. It’s a great bag if you have a puppy that likes to be close to you. It allows the dog to see out and see you, which is sometimes helpful for their first few flights. The Pooch Pouch was made to ventilate, which is great for those extra toasty in-flight moments. It doesn’t take up much room and even has a safety harness which adds security for your dog if you’ve got a jumping fido on your hands. Traveling is many people’s favorite thing to do, but saying goodbye to their little friend is not. With these great pet carriers, you can go anywhere with your pet with peace of mind that they are just as comfortable as you (ideally) are. Avoid travel experiences marred by attempted escapes by your pet from your their bag. Provide them with such a comfortable pet carrier that they’ll never want to leave. Creating a serene and comfortable atmosphere within your pet’s traveling home can make all of the difference for both of you as you fly.